Welcome to Hakuakai Karate. We are a Traditional Japanese Shotokan, Gold Coast Karate School. Martial Arts teaches us not only self-defence but, to respect others as well as ourselves. We train our body to be strong, and our mind and spirit to be patient, in order to become the best human beings we can be. Come and try. Karate is a spiritual endeavour, a way to develop a person as an individual. Everything we learn at our Gold Coast Karate School, should be applied to everyday life. Karate training is not always easy. Often times it can be very difficult and demanding. This is also true in life. If we can overcome obstacles in our training, it enables us to have strong character to do the same in our everyday lives. 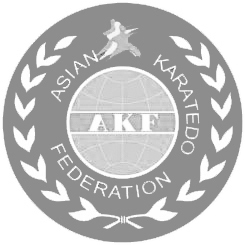 Japan Karate Do Hakuakai Australia is a Not For Profit association. The aim of our clubs are to foster good, healthy and moral athletes. Hakuakai Karate is based on a traditional Japanese style of karate called Shotokan, and our training classes respect the traditions and philosophy of Budo (武道) the traditional Japanese Martial Art. 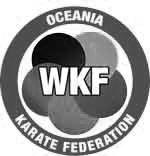 We are based on the Gold Coast, near Helensvale, Oxenford, Upper Coomera, Maudsland & Pacific Pines and we are one of the only true traditional schools of Karate left here on the Gold Coast. It is completely non/skin contact and a great way to keep your child active and focused. It is also a great way for adults to get fit and healthy. We can’t give Sensei Dhanesh or this friendly family club enough credit. Our children ( who are gentle types) had never tried any martial arts and were not even keen to start. We only started them because I had enjoyed the sport decades ago. After the first lesson our kids were hooked. They love it and have started competing after six months. The club is inclusive and has a wonderful family atmosphere. Everyone is made welcome. I even join in myself. Despite being rusty and having very little coordination I feel like I can join in and get fit with my kids whenever I can fit it in.The club teaches a good balance of the art and sport aspects of karate. Sensei Dhanesh takes the time to get to know every pupil. Each member is individually coached during the group training sessions. There is no aggression, arrogance or bad manners in this club. It is a club where people of all ages respect one another, care for one another and enjoy training tough together to get fitter, faster and stronger together. Great Dojo! We can’t fault it. They are genuine, honest and love kids. Their caring nature is fantastic. Teaching is second to none and Sensei Dhanesh has a very encouraging way of bringing correction. He reflects the true spirit of Karate and has a unique approach of teaching. We have been with Sensei Dhanesh over 2 years & we highly recommend his Dojo! I was looking for a dojo for my boys to start karate. The boys went for a trial and found the teachers kind, nurturing and respectful. My boys have been welcomed into the ‘family’ and are really enjoying the classes. My boys really get a lot out of the classes and are always keen to go! They can’t wait for for their first grading.